Each project is linked to the organization responsible for the project, and shows the completion status of the project, as well as the budget allocated for it. People will be able to compare projects in their region or state and decide which ones they think are better. The goal is to make public projects easy for people to access and relate to. HeyGOV has a like/dislike voting system. Likes and Dislikes from users will be shown on HeyGOV as "Support" and "disapprove"
HeyGOV also allows you to review current projects. Why? We believe that the community should be able to give their feedback on projects that will impact their lives in some way, shape or form. The number of reviews will be aggregated to show which projects people are most passionate about. Support votes from the public are mapped against budget size so we can see where projects fall in terms of public support. This also gives people an overall picture of where money is being spent for public projects. We’re encouraging people to add their voices to the mix, so there’s a better picture of where public support is for projects that are currently in place or proposed for the future. The goal here to have digitally driven social transparency, that the government is also able to respond to. There are thousands of projects happening, so hey.gov lets you filter by category and location to find the ones that you care about the most. We hope it becomes cross-platform compatible. Using responsive design people could quickly access this on multiple devices. 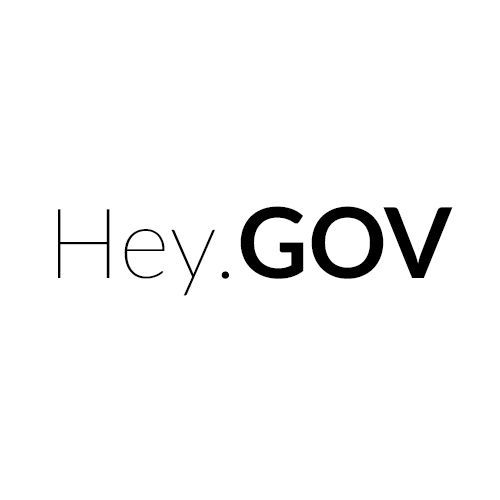 We would also want to have a way to calculate a user’s credibility on hey.gov - based on their activity on the website. Features we’d like to include in future iterations include a platform for members of government to engage with the public, to “join the conversation” and to respond to individuals on their terms, in an open and inclusive way. Music by Lullatone Note: Please use the latest version of Chrome to browse the live demo.